Thomas A. Smith focuses his practice on commercial and business tort litigation, construction defect and subrogation litigation, environmental matters, and insurance coverage matters. 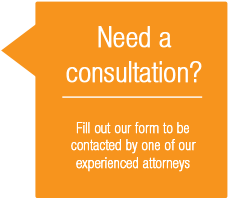 Tom’s commercial litigation experience includes the litigation of fiduciary duty lawsuits, fraud and misrepresentation cases, defamation and privacy tort matters, breach of contract, and breach of express and implied warranties. His clients in these matters have included trustees and court-appointed receivers tasked with pursuing and defending claims on behalf of a trust res or estate, including receivership estates created from regulated investment concerns and financial institutions. He has litigated commercial leases and property sale contracts, representing builders, developers, sellers, and purchasers of real estate. Tom has litigated construction defects in residences, commercial buildings, and industrial facilities, including defects in design, materials, and workmanship. Tom has also represented insurers of defectively-constructed and improperly-repaired facilities in property subrogation matters, including those arising from roof collapses, structural failures, industrial explosions, restaurant and industrial fires, and electrical casualties. On behalf of subrogated property insurers, he has overcome contractual subrogation limitations and consequential damage waivers to obtain recoveries for property damage and business interruption losses. Tom has litigated environmental cost recovery and injunctive relief cases under CERCLA and RCRA, as well as environmental enforcement matters under federal, state, and local law. He has provided compliance counseling in numerous areas of environmental law, including RCRA, EPCRA, the Clean Water Act, and the Clean Air Act. Tom has also represented Westfield Group, Sears Roebuck & Company, Wellman, Inc. and various real estate developers on insurance and risk management issues. 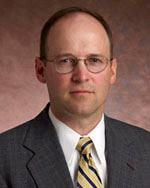 Tom has litigated liability coverage disputes in Illinois, California, and other states, including multiple-insurer cases in which insurers were faced with substantial exposure for defense and indemnification for alleged environmental property damage. He has counseled insurance carriers with respect to defense and indemnity obligations under liability policies. Tom’s insurance carrier clients have included First Specialty Insurance Corporation, Westport Insurance Corporation, Allianz Global Risks US Insurance Company, Discover Re Managers, Inc. and Protective Insurance Company. Tom has received an AV® Preeminent peer rating (the highest rating available) from Martindale-Hubbell, the leading independent attorney rating entity. Prior to law school, Tom served in the U.S. Navy as a flight officer aboard the P-3C Orion anti-submarine aircraft, completing deployments to Iceland, Sicily and Spain. Tom lives in the western suburbs of Chicago with his wife and children. He is a marginally successful (though dedicated) fisherman.